Room Details: Occupancy-2 adults, ocean view, private bath with shower and bathtub. Named after “Santa Cruz’s Air Force,” the local Pelicans fly together in large numbers. In the sky, they form huge “V” formations with one Pelican at the very tip, guiding the rest of the flock. 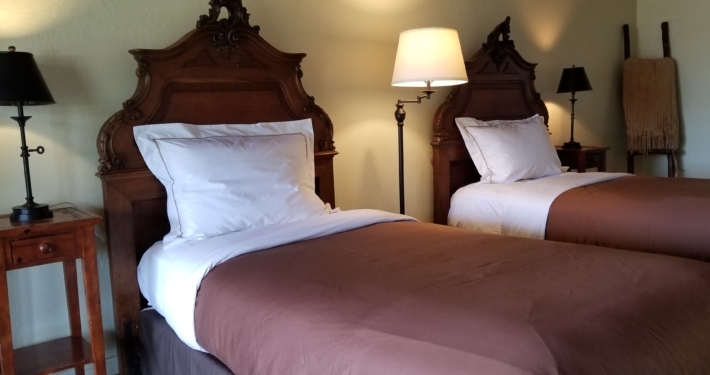 Our Pelican Room, with two twin beds, is a cozy room that faces south towards the hills with an ocean view.